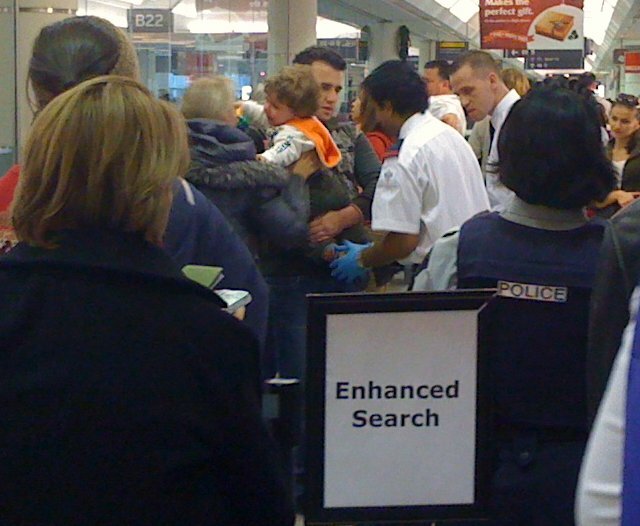 thanks to the (failed) Testicle Bomber the “enhanced security” at Toronto’s airport included a full blown pat down and intense search through all carry ons including babies. my guy got closer to me than ive even been to myself, pulling up my underwear and even investigating the bottom of my Pumas. good thing i didnt go commando like young Duane. i dont mind the extra procedures, or even having to arrive at YYZ three-hours before takeoff. but what really had me scratching my head was why they allowed a lady on the plane who had been discovered to be traveling with a purple disposable lighter. why if youre all in my business trying to detect exotic and unusual flamatory substances are you not detaining common devices? couldnt a few airplane bottles of booze and a lighter do damage? am i the crazy one? fine, im the crazy one. hey sass, guess where i had brunch!